Governor Mike Beebe named Ford Overton of Little Rock to the Arkansas Game and Fish Commission in 2012. Overton replaced George Dunklin of DeWitt. Overton's term will expire July 1, 2019. Governor Mike Beebe named Ken Reeves of Harrison as commissioner of the Arkansas Game and Fish Commission in 2013. Reeves, 69, former Vice President and General Counsel for FedEx Freight in Harrison, is now retired. He earned both his undergraduate and law degrees at the University of Arkansas in Fayetteville. An angler on Bull Shoals Lake since childhood, Reeves is also an avid turkey hunter, and enjoys hunting duck, deer, elk, squirrel and quail. A veteran of the Arkansas Army National Guard, Reeves has been a member of the National Wild Turkey Federation, the Rocky Mountain Elk Foundation, Ducks Unlimited and Quail Forever. Reeves’ term will expire June 30, 2020. Beginning in 2012, Andrew Parker has served as the Director of Governmental Affairs for the Arkansas State Chamber of Commerce / Associated Industries of Arkansas. Since coming aboard, Parker has focused his efforts on promoting and advocating for a constructive business climate for the organizations’ roughly 1,400 business and manufacturing members located across Arkansas. In addition to his legal and lobbying responsibilities, Andrew is the architect of the State Chamber Foundation’s Be Pro. Be Proud. Initiative and also as the Director of the Chamber’s Leadership Arkansas program. Before joining the State Chamber/AIA, Parker served as Regulatory Counsel at the Arkansas Oil and Gas Commission and spent over ten years working directly with Governor Mike Beebe, from the time he was Senate President through his first term as Governor of Arkansas. In July, 2014, Andrew was appointed to a seven-year term on the Arkansas Game and Fish Commission and is an advocate for the protection and enhancement of the State’s natural areas for the benefit of the State and its hunting and fishing enthusiasts. Parker received a law degree from the UALR Bowen School of Law and a Bachelor of Science in Finance from Arkansas State University. Parker is actively involved with both community and professional organizations and is married with one son. Parker’s term will expire July 1, 2021. He replaces Ty Patterson of Texarkana whose term expired. Governor Asa Hutchinson appointed Joe Morgan of Little Rock and Stuttgart to serve on the Arkansas Game and Fish Commission in 2015. This was the Hutchinson’s first appointment to the commission. Hutchinson said he wanted someone like Morgan who understands the breadth of the outdoors culture in Arkansas. “I wanted someone who is engaged and passionate, who values, respects and treasures our incredible natural resources. Joe Morgan is an ideal fit. He understands the importance of the work of the Game and Fish Commission and what it means to the general public, to the average Arkansan,” Hutchinson said. “He's an avid hunter and fisherman with a lifelong love and appreciation of the outdoors,” he added. Hutchinson said Morgan understands that being on the Arkansas Game and Fish Commission means being a steward of all The Natural State has to offer. “It means protecting and improving our natural resources for this generation and for generations to come. We want to sustain and build our outdoor life, which makes Arkansas so very special,” Hutchinson explained. Morgan is a lifelong hunter and fisherman with a working knowledge of game and fish issues statewide, especially in Bayou Meto Wildlife Management Area. He has served on the Arkansas Motor Vehicle Commission for 14 years, spending three of those years as Chairman. Morgan is a retired Chevrolet auto dealer and lives in Little Rock and spends the winters hunting in Stuttgart. Morgan’s term will expire in 2022. He replaces Ron Duncan of Springdale whose term expired in June. Gov. Asa Hutchinson appointed Bobby L. Martin of Rogers to the Arkansas Game and Fish Commission on July 7, 2016. Martin recently was chairman of the Arkansas Game and Fish Foundation Board, which is the fundraising auxiliary of the AGFC. During his time with the Foundation, he helped develop the concept and plans for its highly successful shooting sports complex in Jacksonville. “I know it’s tireless work and I look forward to the opportunity to come alongside the current commissioners,” Martin said. “I’ve had a long-standing respect for the Arkansas Game and Fish Commission. . . . It’s not by accident that we do have the public lands that so many states probably are jealous of us having. Martin is an operating partner of The Stephens Group and was chief executive officer and president of Walmart International, where he led the development of its international business from 1993 to 1999. He began his career at another Arkansas retailer, Dillard’s Department Stores, where he climbed the ladder from third-shift computer operations staff to many positions at the top of the organization’s technology services department. Martin’s term will expire in 2023. He replaces Emon Mahony, whose term expired in June. Governor Asa Hutchinson appointed Stan Jones of Clover Bend to the Arkansas Game and Fish Commission on July 11, 2017. Jones is a farmer and avid outdoorsman who was born and raised in Clover Bend, Arkansas, where his family has farmed for five generations. Although rich in farming heritage, Jones has expanded his family’s original 80-acre farm into thousands of acres of rice and soybean fields as well as prime habitat for a variety of wildlife species. His passion for duck hunting led to his second career as a successful guide for more than 30 years, and the culmination of his dream in Stan Jones Mallard Lodge. Hutchinson said he has worked for the last two years, interviewing and getting to know Jones for the possibility of becoming a Commissioner. Jones commented on the excellent work the AGFC had done in the past and thanked Hutchinson for the honor to serve on the Commission. Jones is an owner of Banded outdoor sporting apparel, Avery Outdoors and the Stan Jones Mallard Lodge. He is a graduate of Arkansas State University and serves on the Chancellor’s Cabinet. Jones was a member of ASU’s 1970 undefeated, untied National College Division Champion football team, which was inducted into the Arkansas Sports Hall of Fame in 2015. He serves on the Red Wolves Foundation 500 Club and the Clover Bend Historical Society. Jones’ term will expire in 2024. He replaces Fred Brown of Corning, whose term expired in June. Gov. 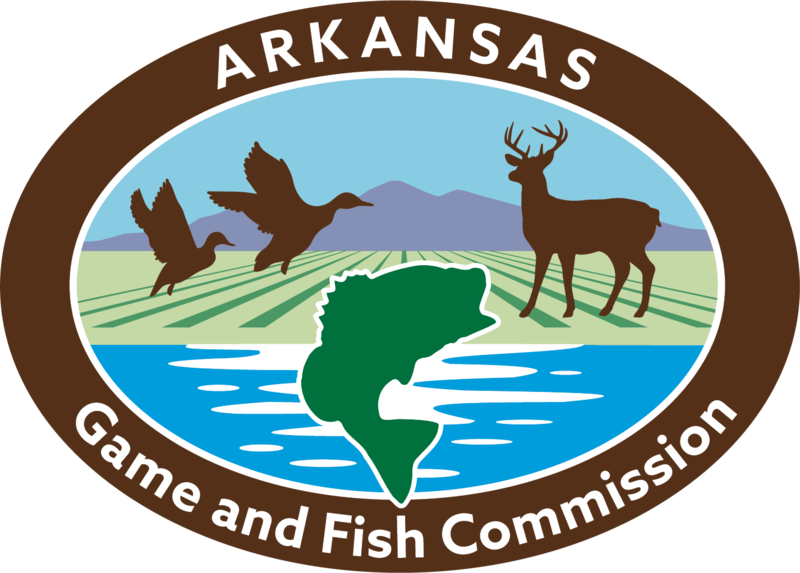 Asa Hutchinson appointed John David “J.D.” Neeley of Camden to serve on the Arkansas Game and Fish Commission on July 2, 2018. Neeley is president of Neeley Forestry Service and principal broker for United Country Neeley Forestry. He has served as a general appraiser, specializing in timberland, pasture land and recreational properties for 25 years. He also has worked as a licensed broker for the sale of timberland investment and recreational properties for 22 years. 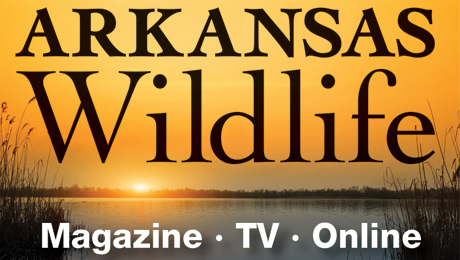 “We are blessed in Arkansas to have such a rich, beautiful combination of landscapes, ecosystems and habitat, and an abundant assortment of wildlife,” Neeley said. “I’m deeply honored and humbled to be able to serve the governor and the state to help manage the wildlife and continue to practice conservation. Neeley, who is 54, and his wife, Beth, have a son and a daughter. His son, Daniel, works at the family’s firm; his daughter, Taylor, is studying pharmacy at the University of Arkansas for Medical Sciences. Neeley’s term is set to expire July 1, 2025. He replaces Steve Cook, former chair of the AGFC, whose term expired July 1, 2018. Steve Beaupre is a professor and chair of the department of biological sciences at the University of Arkansas. He received his master’s degree from the department of zoology at the University of Wisconsin-Madison, in 1987. He earned his Ph.D. from the University of Pennsylvania in 1993. After two years of post-doctoral work for Arizona State University-West Campus in Glendale, he accepted a position at the University of Arkansas in 1995. His primary area of research concerns the physiological ecology of reptiles, and the influence of environmental change on their populations. His work is widely published in books and scientific literature, and his research was recognized by a Fulbright College Master Researcher Award in 2009. Beaupre served as the 2012 president of the American Society of Ichthyologists and Herpetologists. He is a passionate outdoors enthusiast, enjoying hunting, fishing, backpacking and field research in deserts, mountains and forests of the United States.